Seems like a lot of times when we set out on our health journey, there’s a certain amount of shame that comes along for the ride. Ever feel that way? I know I have. I can’t remember how many times I showed up at work, boldly declaring that “Today is Day One!” At first my coworkers applauded my efforts, but after hearing me repeat my proclamation over and over, they eventually went into ‘smile-&-nod’ mode. To me it felt like their smiles were concealing thoughts like “How long will he last this time?” or “I’ll believe it when I see it.” After awhile I stopped making bold proclamations, deciding instead to cover up my struggle and go it alone. I mean, this is America right? Home of the rugged individualist! This’ll totally work! But it didn’t. Instead, I found myself in a state of confused isolation. In reality, people in our lives probably want to see us succeed, but feel powerless to help or offer encouragement. I mean, weight is a pretty personal thing in our culture, and you don't want to hurt someone’s feelings by saying something inappropriate, right? So they remain politely quiet, but we misinterpret their silence as a kind of judgement. And we soldier on alone. This is a dangerous place to be. How dangerous? Did you know that the UN has condemned the use of solitary confinement as a means of punishment? Do you know why? Because they consider it a form of torture. Studies have been done that show that some lasting mental damage can be caused after as little as a few days of social isolation. Now, if all that is true, why on earth do we tend to isolate ourselves when we’re going through something as challenging as changing the trajectory of our weight, our health, and ultimately our life? Wouldn’t it make more sense to attempt something like this with the support of other people? And what if you could do it with other people who are likeminded, and maybe even going through the same things you’re going through? It’s made a difference in my life. Knowing that there are people looking out for me makes a difference. Knowing that there are people I’m also looking out for makes a difference. Knowing that we’re all in this thing together? Makes all the difference in the world. It’s one of the things I love about our program, this emphasis on healthy community. Simply put, we are confronting reality, tackling our individual weight issues, and creating health. And we’re doing it together. Are you about to start a new chapter in your story? 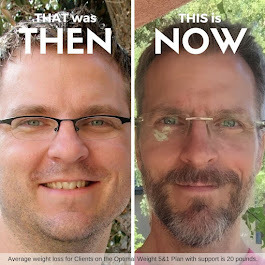 The part of your story where you confront reality, take on your weight issue, and create health in your life? Are you about to do it alone? Don't do it! Our healthy community has made a lasting difference in the lives of thousands of people. And it can make a difference for you too. Reach out! Email me at DavidJamesPhillips[at]Gmail.com, and see if our community is a fit for you.